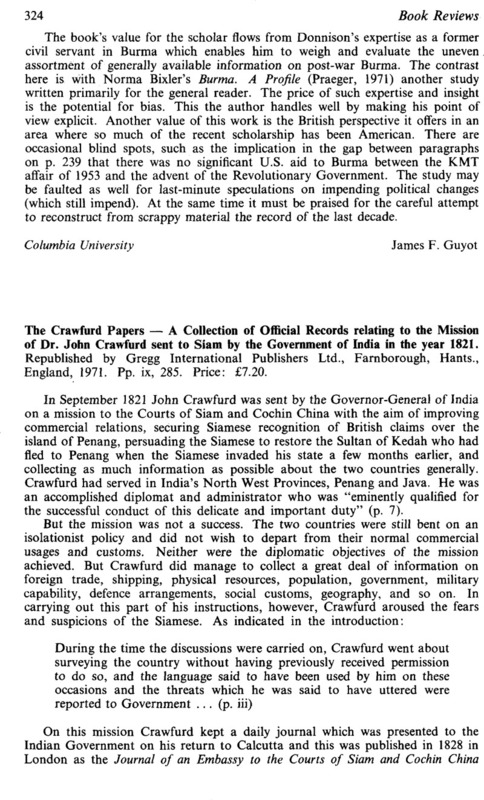 The Crawfurd Papers — A Collection of Official Records relating to the Mission of Dr. John Crawfurd sent to Siam by the Government of India in the year 1821. Republished by Gregg International Publishers Ltd., Farnborough, Hants., England, 1971. Pp. ix, 285. Price: £7.20.